We are able to get fresh flowers delivered without any hassle, thanks to a local florist network that is available in Seychelles as well as worldwide. Place an order from any location you are in, and this will guarantee ordering processing from Mondial Flowers staff members. It is important to note that roses are not available by florists, and they normally have tropical/exotic native flowers. You can order flowers in your favorite colors to have florists deliver the nearest bouquets with flowers they have available at the time of delivery. At Mondial Flowers, we do our best to help you and your loved ones celebrate an occasion even when there are miles separating the two of you. You can visit our website to order Valentine’s Day flower delivery in Seychelles as well as stunning flowers for Mother’s Day. Be sure to have flowers delivered for any special occasion. Trust us for flower delivery in Seychelles, provided by reputable florists who have experience in the delivery business. Order beautiful flowers for delivery, thanks to our worldwide flower delivery service. We have a network of florists in many countries, including Seychelles! In order to make sure that we give you the best possible service, we need your order in advance. 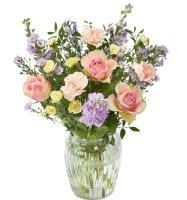 We cannot ensure same or next day flower delivery, so please order flowers at least 2 days before the delivery date.